Thanksgiving is historically the time for a great feast and celebration. Therefore, we have joined together to offer a fantastic "feast" of side dish recipes today on Review This. I asked my co-workers, which just happen to be an awesome group of writers and online contributors, to share their personal side dish recipes for Thanksgiving. They have been most generous and I am certain we have something here for everyone. The "first Thanksgiving" in America was celebrated in 1621 and lasted for 3 days. Some of us have family, friends and guests who drive or fly long distances to spend 3 or more days with us during the Thanksgiving holidays. 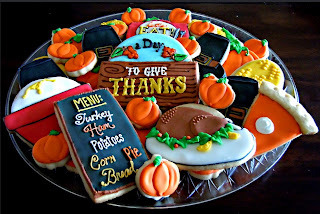 Therefore, we have 3 day Thanksgiving celebrations too, which means we serve multiple meals and we need a variety of recipes to see us through the festivities. A holiday would simply not be complete without the fruit dishes. They always round out a meal with a healthy treat for all of us, but for the Vegans and Vegetarians in our mist, they are a absolute must. Cranberry sauce is often found on a traditional Thanksgiving dinner table. However, Mbgphoto shares a recipe for her very own creation of Cranberry Applesauce that sounds out of this world delicious. Plus, I give you my very own submission for a Quick & Easy Fruit Salad recipe that my own family requests for every holiday. Green vegetables are essential to a healthy diet, but for some reason, they seem to be the hardest to get people to eat, especially children. Perhaps, these delicious recipes will help. A photo was not available for my personal favorite green vegetable recipe that was submitted, but I would be rather remiss if I didn't at least give you the link for Cherylsart's Green Rice and Spinach (2nd recipe in this article). It sounds fabulous and would surely be a wonderful way to get the kids, and husbands, to eat their spinach. Rice is a staple food for many of us and while we are most content to eat it by itself, it is truly an excellent additive to many recipes. Elsie Hagley and Merry offer recipes that include rice. Either, or both, would be perfect side dishes for this Thanksgiving. All of my life I have considered potatoes and yams to be as "traditional" as the turkey when preparing the Thanksgiving dinner. The only question was which sweet potato casserole recipe to use. It seems like every member of our family has a different personal favorite potato recipe. As a result, we have actually started preparing and serving several potato recipes so everyone can enjoy their preference on Thanksgiving. After seeing these recipes, we may well be having a few more on the table this year. For a awesome vegetable mix, this would be the recipe of choice. Adventuretravels combines carrots, beetroots, parsnips & onions with fennel to deliver a divine side dish for Thanksgiving. I am going to quote Margaret directly here because I don't believe I could say it any better any other way. "These healthier candied walnuts or pecans make a wonderful, healthy holiday nibble (or any other time), and if they're chopped up they're yummy sprinkled on or tossed with nearly any Thanksgiving vegetable or side dish." That one quote was enough for me. I will be serving Margaret's candied pecans this year on Thanksgiving. My whole family loves nuts! Last week, we provided an easy and delicious way to bake a Turkey for Thanksgiving. Today, we featured side dishes and tomorrow we will be concluding our Thanksgiving recipes series with desserts. I hope you will all join us again tomorrow to delve into dessert recipes with us here on Review This! If you have published a side dish recipe that would be great for Thanksgiving, we would love to have you share it with us. Please leave the link to your recipe in the guestbook below. A note of my own Thanksgiving: I want to thank each of the writers and contributors who responded to my request and submitted recipes for this special Thanksgiving Side Dish Recipes article. You are all a true treasure trove of resources for which I am most grateful. Wishing everyone a very happy and blessed Thanksgiving! I had the same problem while I was working on the article! All of the recipes look delicious. Well, I do think I have some new recipes to try for side dishes this year. These all look great. Thanks to those contributors for sharing their recipes with us. The side dish recipes really do all love fabulously delicious and I certainly do appreciate their generosity in sharing their recipes. You and me both! There are several I want to try this year for Thanksgiving. I do love that fruit salad Brite-Ideas! I really do eat it for breakfast, lunch, dinner and dessert when I have it made and available. I really appreciate you for letting us feature those recipes Margaret. I am especially excited to try your Candied Pecans. I just know my whole family will love them. Great! You have done a very interesting site for Thanksgiving. Thanks for making my recipe part of it. Even though we don't celebrate thanksgiving in NZ, I will still be using some of these recipes. Why Elsie, you can just run right on over to my home here in the US and celebrate Thanksgiving with us! You are right though, these recipes are excellent year round. Some would even make fabulous stand alone meals. Positively scrumptious! Thank you so much for including two of my family's favorites. We start eating Thanksgiving dishes early in November because there's no way we can do them all justice on just that one day. With these recipes, I've a bunch of new ones to try. Not fair, we Canadians, have already done the Thanksgiving Dinner, I think we need to do it again, so that we can indulge ourselves once more......Plus we need a holiday in November too! Oh geesh...now I'm craving all of these things! Mouse, you should post these with a warning label! haha. Looks divine. All of them. I know! Our friends sure came up with some wonderful recipes to share. This is beautiful, and so luscious looking. I was not in the Thanksgiving mood until I read this post. There are wonderful recipes here that have set off a Thanksgiving "chain reaction" in my little brain. Cynthia, thank you for doing this for everyone. Beautiful work! Thank you Nancy! It really was a lot of fun to see the recipes as they came in and to have the pleasure of writing this articles.